We went to a number of opera performances in addition to a concert featuring young artists. Our experience kicked off in the best of ways: VIP tickets for the Royal Box in Parma's historic Teatro Regio to see Verdi's Macbeth. The Royal Box includes a stand-up buffet and bar before the curtain time and dessert during the intermission. Our VIP access also got us onstage for a photo-op after the performance. The following night we returned to this jewel-box theater for an orchestra concert in the theater. 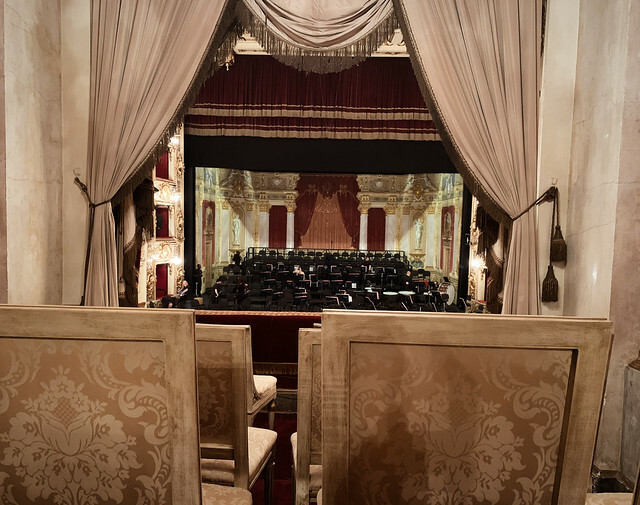 Though Parma's opulent 19th-century Teatro Regio is small by international standards, it is an excellent venue for opera, with an intimate atmosphere and an audience that is extremely well-informed and passionate about Verdi and opera in general. 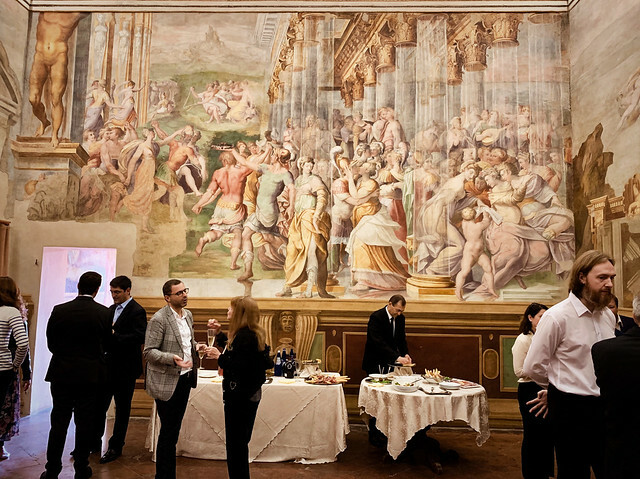 The Festival Verdi also hosts an "off campus" opera each year , and the 2018 edition featured Robert Wilson's minimalist staging of Le Trouvère at the Teatro Farnese in the Palazzo della Pilotta. Though we were a bit underwhelmed at the blue-gray palette and stillness punctuated by rapid hand movements, the theater itself is a fascinating space. Considered one of the most beautiful historical theaters in Italy, the Teatro Farnese was built at the beginning of the 17th century to welcome Cosimo II de Medici, who had planned to stop in Parma while traveling to Milan. The visit never took place and the theater, built in the former arms room of Palazzo della Pilotta, was abandoned until 1628 when performances were held there to celebrate the wedding of Margherita de Medici and Duke Odoardo Farnese. The design is inspired by Palladio's Teatro Olimpico in Vicenza, with two tiers of loggias topped by a balconied gallery and the theater's innovative system of movable scenery was the first stage machinery of its type used in Italian theaters. Though we appreciated the beauty of the space, the seating was rather uncomfortable and the acoustics weren't perfect for opera. 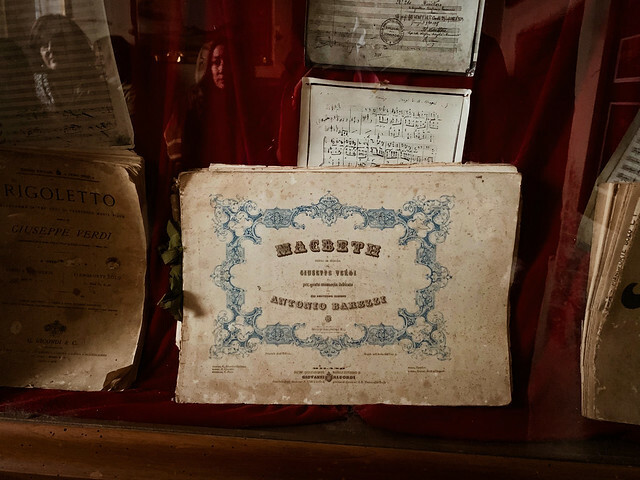 Performances and events are also held in the nearby town of Busseto, a charming historic center near the hamlet where Verdi was born (his childhood home in Roncole is now a small museum) and spent stretches of his adulthood at Villa Verdi, also now a museum, just outside of town. 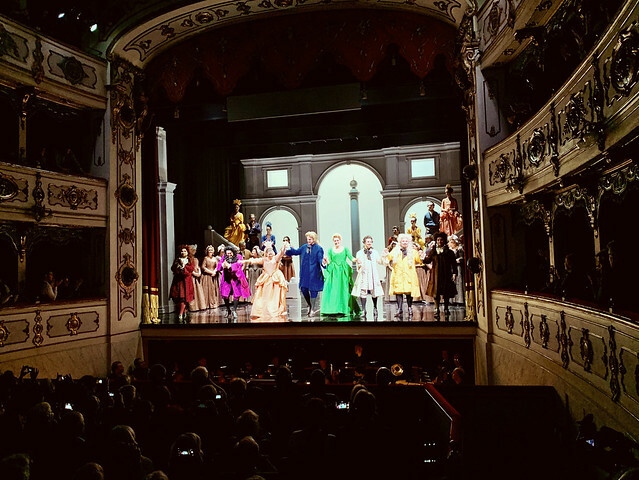 We saw Un Giorno del Regno at the tiny Teatro Verdi, an homage to the town's most famous son who unfortunately resisted the plan to build a theater in such a small town and never attended a performance there, though he did contribute financially to its construction and owned a box. We squeezed ourselves into one of the miniature boxes in this 300-seat theater and enjoyed a charming production of this rarely seen work with a talented group of young singers. 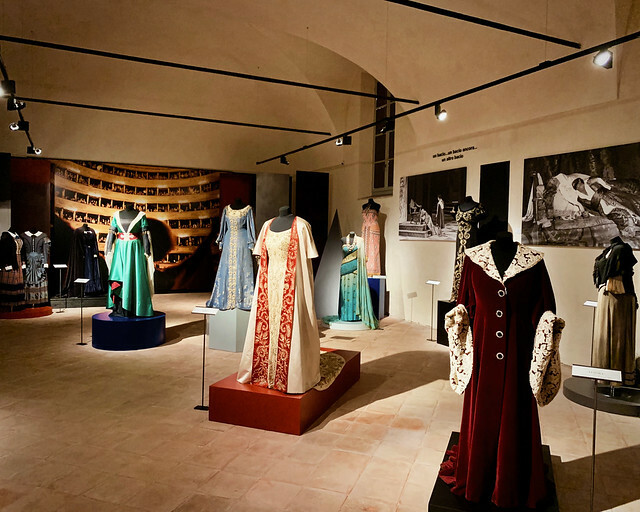 We also stopped by the museum dedicated to soprano Renata Tebaldi, that has a collection of costumes and gowns she wore during her storied career and other memorabilia. 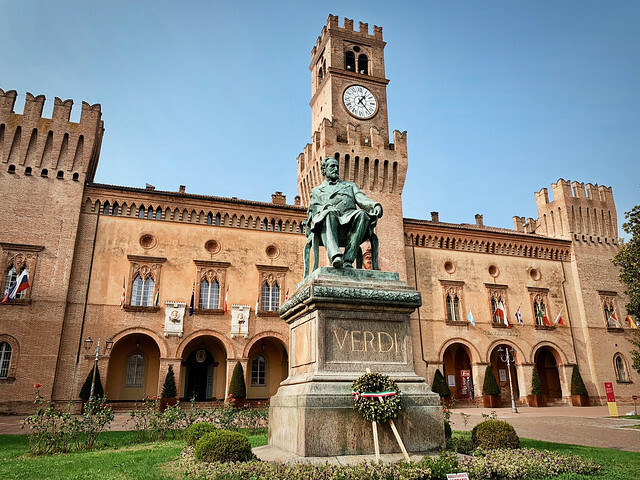 Additional Verdi-related sights in and around Busseto include the church where he served as organist as a young boy; the Casa Barezzi museum where Verdi taught music to Margherita, daughter of wealthy local merchant Antonio Barezzi, who later became Verdi's first wife; and the Giuseppe Verdi National Museum in the beautiful 16th-century Villa Pallavicino, which is home to an extensive collection of artifacts and documents related to the composer's life and work. 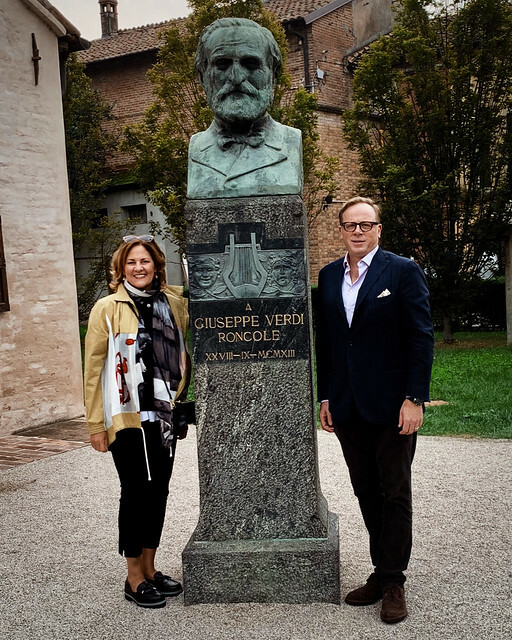 If you love opera as much as we do, you can support the festival by joining the International Friends of Festival Verdi, a not-for-profit, US-based organization that helps sustain the Festival Verdi and productions at the Teatro Regio and Teatro Farnese in Parma, and Teatro Verdi in Busseto. 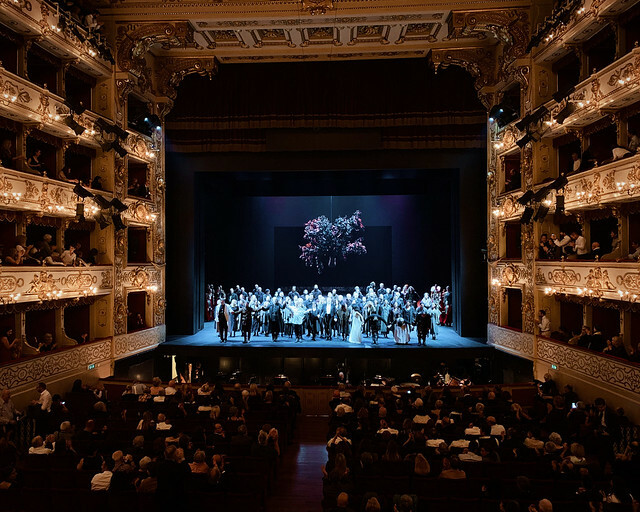 Join us and become a member so that you can both show your support and reap the benefits when attending Festival Verdi events in Italy and the U.S.